Christian Dior’s J Adore EDP has invigorating aroma will engulf you in its exceedingly sweet fragrance. 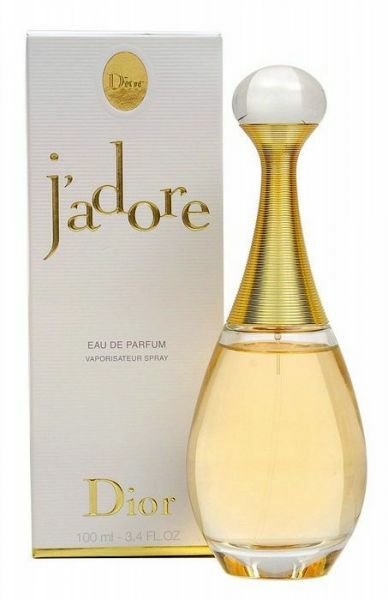 Buy this Dior perfume at souq.com.Formulated for today’s confident and bold women, the J adore Eau de Parfum by Christian Dior contains a mesmerizing fragrance that is intense, graceful and gentle at the same time. It has been launched in the year 1999 by Calice Becker. This EDP has a rich, golden fragrance that strikes on your skin like liquidated sunbeams and leaves you dazzling in its enticing gleam. This Christian Dior perfume starts with fresh and citrusy accords of magnolia, melon, peach, pear, bergamot, and Mandarin orange. The heart of the perfume highlights an aristocratic and intoxicating bouquet of flowers that includes tuberose, violet, orchid, freesia jasmine, lily-of-the-valley, rose, and plum. The base consists of sensual, woody and sweet accords of musk, vanilla, cedar, and blackberry. This EDP comes to you in a 100ml flacon that is shaped like the Greek amphora and spells elegance. It is sure to attract a million hearts even before the fragrance makes an attempt to trap them. The romance of fruity notes in the fragrance of this Christian Dior’s J Adore EDP opens with the sweet, tangy, and fresh hints of magnolia, melon, peach, pear, bergamot, and Mandarin orange. A little splash of this perfume on your soft skin and you are ready to win over all the hearts around you. It lends a cheerful and flirty touch to your overall aroma. At the core of this Dior perfume, you will find a fusion of floral and succulent notes that comprise of tuberose, jasmine, lily-of-the-valley, plum, violet, orchid, freesia, and rose. These accords mingle to produce a unique and enthusiastic aroma. The firm foundation of this Christian Dior fragrance includes musk, vanilla, cedar, and blackberry. These ingredients offer a beautiful, austere, milky, and powdery aroma. They fuse beautifully with the rest of the perfume to produce a fragrance that is too sensuous to resist. 93.9% of users recommend this product to a friend. One the one hand, Its smell is very good for my wife. ; On the another hand, its quantity are enough. When we have a bath, we can immediately catch the topic. Perfect way for handling customer from Souq.com and providing genuine products with reasonable price that is better than the market rate.